Planetary astrology Science, Considerable subjects as per planets in Astrology, The effects of sun in different Houses of Kundli or horoscope, The Sun Astrology, Sun and related things and how it affects the Life, how planets makes impact on different subjects?, Mantra or spell of Sun, Things of Sun to offer or daan. Astrology is a sea in which if any one enter is unable to come out. More deeper he or she go more mystery will be seen. One life is not sufficient to understand the astrology subject completely. In this article i am going to say something about planets and the considerable things. By reading this article you will come to know how the personality of any one is affected by different planets like as sun, moon, Mars, Mercury, Jupiter, Venus, Saturn, Rahu and Ketu. It represent the father, soul, nature of person, health, kingdom, temple etc. It affects the right eye, liver, spinal cord, head and face, bones. Bile problems, Body temperature, epilepsy, heart diseases, eye problem, skin diseases, tuberculosis, diarrhea are also happens due to malefic effects of sun sometimes. Malefic sun in income place lead to loss and debt. It does not give family happiness. In expenses place the negative sun leads to unwanted expenses, and expenses in business. In 4th place it leads to tension. In 6th place it leads to problems from enemies but it also generate power to win the war. If sun is making any relation with Saturn then it leads to loss in business, creates fear of any legal issue, minimize the grace of father, generate many types of health problems etc. The combination of sun with moon leads to status in society. Surya when sits with mercury then it forms budhaditya yoga which is very good if form better. it provide name, fame, money. The combination of sun with Jupiter makes a person Intelligent. Good sun also makes a person artist. Sun is descendant(Neech) in Libra. If the Rahu and sun is sitting in any house then the related subjects are affected badly. Sun or Surya is strong if it is sitting with Aries , cancer, Leo and Sagittarius. The Health of father is also detected by studying the positions and state of sun or Surya in horoscope. The good sun also makes a person romantic. The person takes interest in listening music, learning music etc. The malefic sun may leads to defamation, infamy etc. It is very effective if present in lagna or first house and 10 house. Sublimity is also seen in the personality if a person has powerful sun. 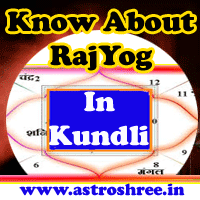 Spiritual power and the interest in rituals or karmkanda is also studied by reading the sun in kundli or horoscope. Red cloths, red sandal, ruby, molasses, gold, throne(singhaasan), copper, ruby, wheat etc. Sunday is the day of sun or Surya So if any remedies or rituals are done on Sunday to cool down the malefic sun or Surya then it is very beneficial. If sun is malefic or negative in horoscope then do not start any work on Sunday. If sun is not in good state then there is a fear of defamation so it is good to show the horoscope or kundli to an experienced astrologer or Jyotish and get good remedy. Don't ever try to wear ruby if the sun is negative in horoscope. If you are facing any legal problems, personal problems, professional problems due to sun then do contact immediately for remedies. Use the occult sciences to get rid of problems of sun. Planetary astrology Science, Considerable subjects as per planets in Astrology, The effects of sun in different Houses of Kundli or horoscope, The Sun Astrology, Sun and related things and how it affects the Life, how planets makes impact on different subjects?, Mantra or spell of Sun, Things of Sun to offer or daan. Astrology for Life, astrology for success, astrology for love life, astrology for career, astrology for profession, astrology for marriage life, astrology for business, astrology for Hollywood and Bollywood, Online astrology for over all success.